Day 2: Drive to Kombolcha / Dessie en route visit Bati market if the day is Sunday; Where the Afar and Oromo people meet together and the scenery. O/ n hotel. Day 3: Drive to Mekelle via Alamata to see the best scenery and visit the monastery of Stefano’s on Lake Hayik. O/ n hotel. Day 4: Drive to Ahmedla via the town of Berhaile. O/ n camping at Ahmed Ella. 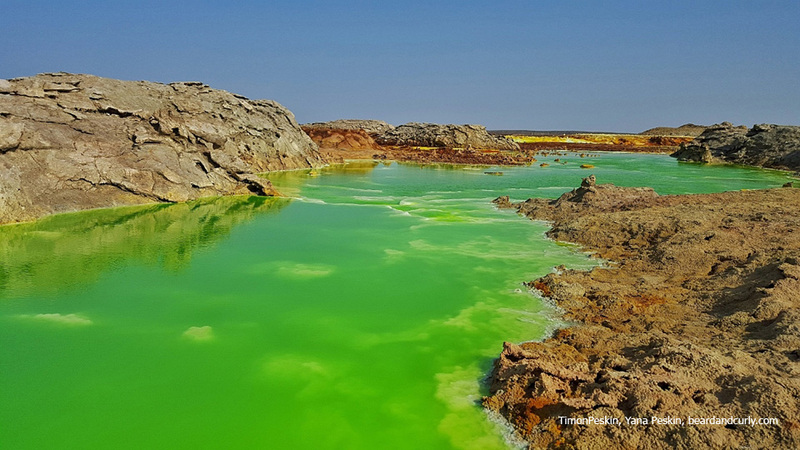 Day 5: Explore salt plains, Lake Asale and to Dallol (120 meter below sea level, one of the lowest places in the world) and back to Ahmed Ela. O/ n Camping at Ahmed Ella. Day 6: Drive to Dodam and then Climb Ert ale volcano (613m). O/ n camping. Day 7: Explore Ertale (active volcanic sites); trek Dodom. O/ n camping. Day 8: Drive Dodom to Lake Afedera where afar people extract salt and good chance to see the very interesting camel caravan too.O/ n camping. Day 9: Drive to Semera, the capital of the afar regional state, where you will visit the very interesting Afar people. O/ n camping. Day 10: Drive Semera to Awash National Park.O/ n lodge/ camping. Day 11: Full day Awash park game drive, visit palm side hot springs, Awash River falls and more. O/ n hotel or camping. Day 12: Drive back to Addis Ababa, afternoon rest. O/ n hotel. Day 13: City tour and departure. Day 1: Arrival and transfer to hotel. O/ n hotel. Day 2: Drive to Awash National Park for game viewing to see mammals & birds in the park. O/ n hotel. Day 4: Drive from Semera to Lake Afdera. O/ n Camping. Day 11: Transfer to the airport; fly back to Addis and half day city tour and Farewell dinner at traditional restaurant; Night departure. Day 1: Drive Addis to Kombolcha via Gemesa Gedel. O/ n hotel. Day 2: Drive Kombolcha to Mekelle via Alamata to see the best scenery and visit the monastery of Stefano’s on Lake Hayik. O/ n hotel. Day 3: Drive to Ahmedla via the town of Berhaile. O/ n camping at Ahmed Ella. 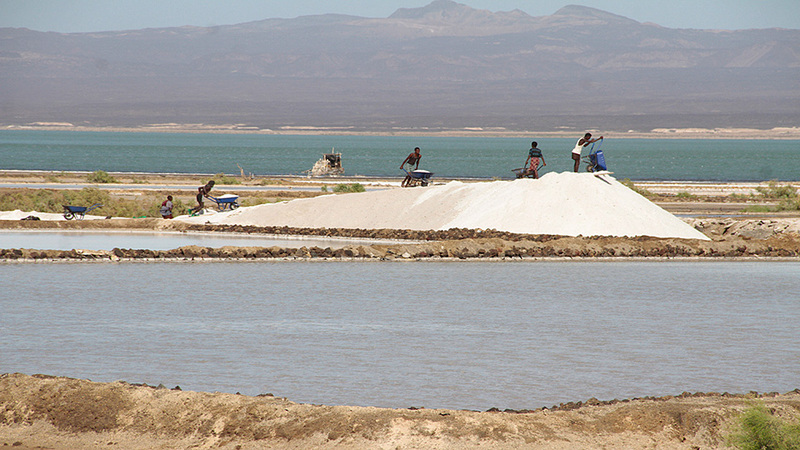 Day 4: Explore salt plains, Lake Asale and to Dallol (116 meter below sea level, one of the lowest places in the world) and back to Ahmed Ela. O/ n Camping at Ahmed Ella. Day 5: Drive to Dodam and then Climb Ert ale volcano (613m). O/ n camping. 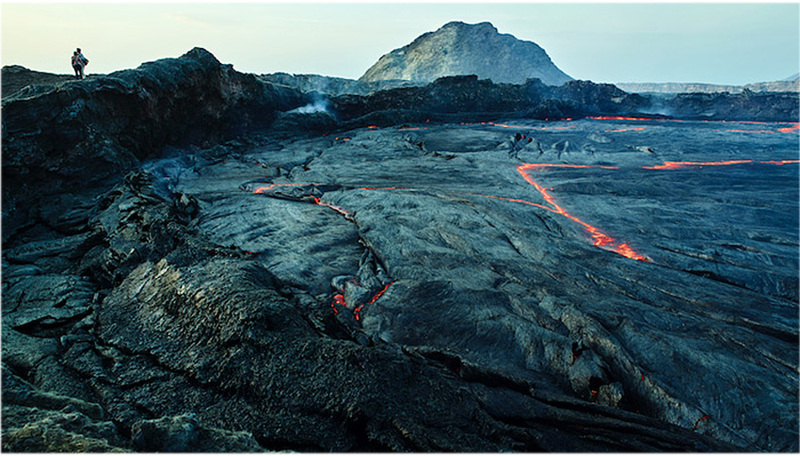 Day 6: Explore Ertale (active volcanic sites); trek Dodom. O/ n camping. Day 7: Drive to Amedella. O/ n camping. Day 8: Drive Amedella to Mekelle. O/ n hotel. Day 9: Fly back to Addis and city tour;then departure.